Oh, dearie me! I lived in Wapping for four months, and apparently I should be glad that the year was 2004 rather than Sally Lockhart's 1872! When I was there, it was the cutest place ever! I could, and did on almost a daily basis, walk to the Tower Bridge. I discovered a few favorite peaceful spots. And I made a point of exploring a new part of London every Wednesday -- packing up my notebook and some food and finding a pretty place to write. I rode double decker buses as often as possible (not only are they big and red and scary if you're sitting in the top front [all excellent qualities], but they're cheaper than the Tube). London, in general, and Wapping, in particular, was (were? ), in fact, one (two?) of my favorite places of all the places I've ever lived. (Are six commas too many for one sentence? Was that even a sentence?) Of course, I was dead broke by the time I left (London is expensive), but I don't regret a minute of it. Anyway. Philip Pullman: you have good brains. And Wapping: sorry to hear about your sordid past. You turned out pretty well, in my humble opinion. So -- where have you lived? What was it like? And where do you dream of living? My favourite of the Lockhart series if The Tiger in the Well - best social commentary and great feminism, I love Sally ! Pullman's a genius. Hello! I saw Graceling in Cardiff at the weekend, but I didn't want to have to carry it home to London, so I shall get it next time I see it here. It looked excellent - and big (format wise) - which is always nice. I lived in England, too, in Russell Square, within walking distance of the Brit Museum. Loved it. It was simply brilliant. I've only lived in Charleston, SC and now Asheville, NC. Not a big move. Asheville's great, don't get me wrong. There is so much to do, especially if you are an outdoorsy person. There's a really disappointing music scene here, though. Winter is a little depressing, but Spring, Summer and Fall certaily make up for that. Charleston is hot and HUMID and miserable during late Spring to early Fall. Winter is dull. I got so sick of the mostly crappy beaches living there (I said, mostly crappy, for those that oppose), that I am not much of a beach person now because of that. I dream of living somewhere on the West coast. I have a brother in Seattle. It is so nice out there. Tons to do and see. Victoria, Canada is lovely also. But both are much too expensive! Maryland, Texas, Canada, Brazil and France. And I've worked in many, many cities across the country - fly out Monday morning, fly back Friday night for months on end. An interesting way to experience different places. France is my favorite, but Brazil has by far the best yogurt I've ever tasted. I've never read Philip Pullman. Have it on the bookshelf though. Maybe after The Graveyard Book, which I love. Reminds me a little of The Hunger Games . Matter-of-fact description of an extraordinary situation. Pullman, one of my all time favorites, and the Sally Lockhart series is next on my list for him. To answer you question I have lived in Florida, always this stupid humid retirment community. I did have a stint as a child in Ohio, and I adored it to pieces. I desperatly miss the snow and cold. London calls to me like no other place in the world. I have been unexplicably obsessed with it since I was a child becuase of this. So hopefully I will be there one day. I was supposed to be during school, but I decided to forgo my semesters there, so that I could save up money to follow my dream. I shall be trying Vancouver, BC next. I am extremely excited, and thrilled to get away from the Sunshine state. I lived in Mecklenberg Square, just like Harriet Vane (I didn't find out till after I'd lived there that she did, too, and it certainly made me happy). It was weird, though, having to get the key in order to enter the garden, just to sit on a bench and read a book. Once you did, though, especially if it was an 18th or 19th century novel, you could totally lose yourself in that world, especially when a pair of bobbies went by on their horses so you heard the clip-clopping of hooves in the background, instead of car sounds. I walked EVERYWHERE in London, which saved tube fare and opened up worlds. Wish I'd taken more double-decker buses, though, for the view from on high. Hey, what's with all the venom towards Florida in the comments? Show it some love, people! 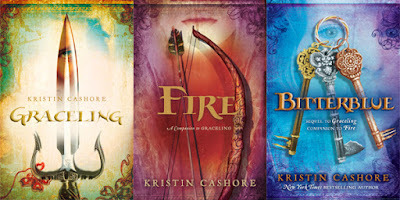 Hasn't Kristin enchanted you with her descriptions of water and birds and weather? I did read The Ruby in the Smoke which I liked a lot. Also saw a PBS film of it starring Billie Piper from Dr. Who. She's a little old for the part but it was still done well. I had the good fortune to meet Philip Pullman at a reading here in Chicago. He was great...and he wrote this in my writing notebook when I asked him if he had any words of advice for those days when the Muse is absent. He wrote: When those moments come remember that it is our job to write just as well and just as regularly when we're not inspired as when we are. Advice I took to heart. Anguilla in the British West Indies. Been there a few times. Love it. I studied abroad in Auckland, New Zealand for a semester, and I miss how gorgeous nature and city life could be side by side without one dominating the other. There I could for runs that start out in the heart of the city, but then 20, 30 mins later I could be running by a bay. Sorry, your question quite took me back there for a second! I've lived in Virginia (3 cities), North Carolina (2 cities), New Orleans, Chicago, and Texas (2 cities). My parents still live in Charlotte, NC, and it's weird to think that I go "up" to there from Houston, and that Charlotte, from here is north. I dream of living somewhere chilly, damp, and green. Vermont would do, or Seattle, or Scotland. I used to live in cali, and i miss it sooooooooooooooooooooooooooooooooooooooooooooooooooooooooooooooooooooooooooooooooooooooooooooooooooooooooooooooooooooooooo much. i visited in nov. and i was so sad that i had to leave. can a person be in love with a place? it seems that when im there, i can't stop smiling (until i leave). pullman is a genius with a weird sense of humor. also, the last of the golden compass series was much too long for my liking. also, to all people who think he wants to get rid of religion, he wrote the book to express his opinion, not to offend anyone. I lived in Eugene, Oregon. I miss is it so much. I miss the rain, I miss autumn, I miss pine cones, I miss mud, I miss not having to lock my doors, I miss a lot of random things. Hopefully I can move back as soon as I am done with school. You guys have lived in cool places! And Alex -- woo hoo, a Graceling spotting in Cardiff -- whee! o.o Everyone has lived in such amazing places. Delaware is so boring. -_- Id love to live in Ireland. Or at least visit. Since Ive heard its chilly. I like warm places. Congrats on Graceling making it across seas. =] Thats exciting. the songs a bit rusty, but i like it! in honor of gracelings!!!!! Again, tapping into the ancient posts, but hey, I liked this question. So, first of all, I love Phillip Pullman, but I've only read the His Dark Materials series. Sounds like I'll have to add his Sally Lockhart series to the list. Places I've lived... Hehehehe... This is quite long, but you did ask for it: Maryland, Arizona, Germany, Northern Virginia, Colorado, Ohio, Spain, Washington DC, Massachusetts, Canada, and now Japan (with repeats on Arizona, Canada and Colorado). *PS: Sorry for the deleted comment earlier. There were typos that needed fixing.